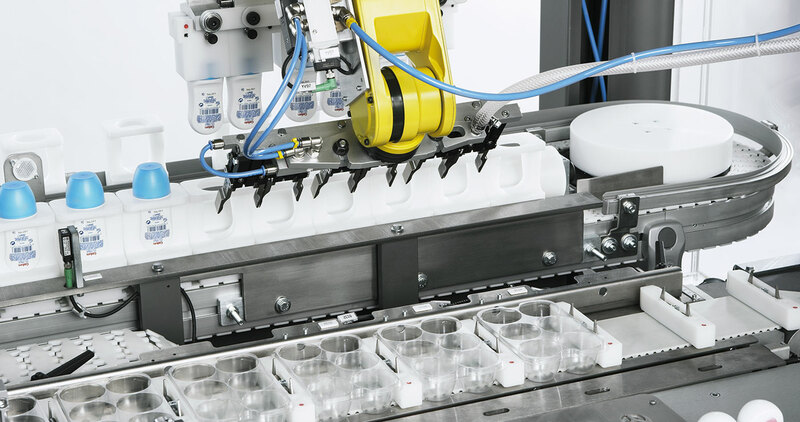 Based around a 4 or 6-axis robot which picks up incoming products and loading them inside a plastic tray. 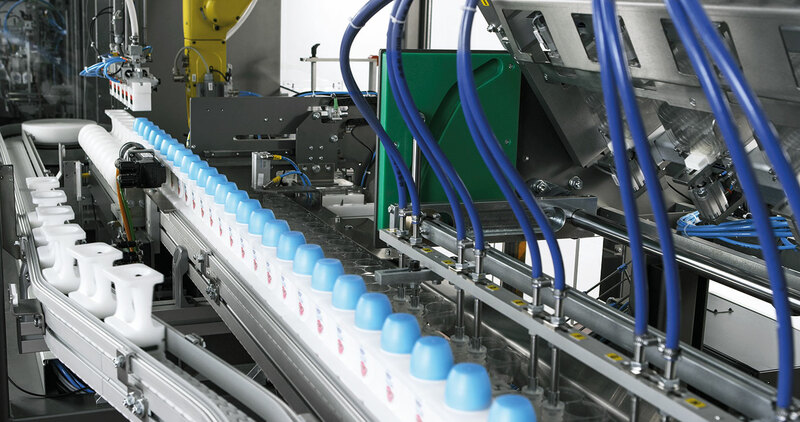 Trays are width-drawn from tray magazines and transferred up to the loading area. 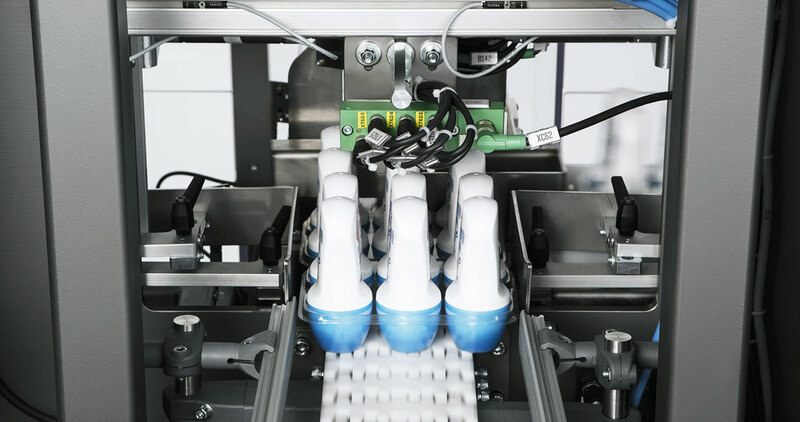 Dedicated Infeed system are available to manage tubes arriving on several lanes as well as roll-on coming into pucks. Modular design allows for customisation of the empty trays magazines section, whose dimensions are kept to a minimum. 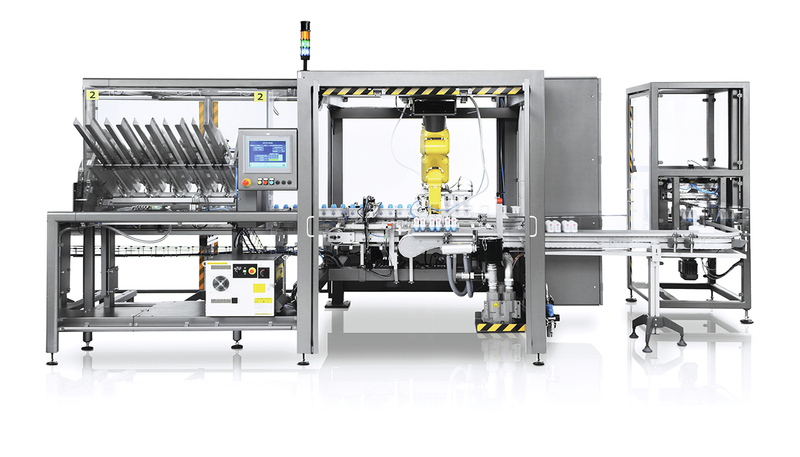 PLC unit interacts with robot processor for straightforward operation. 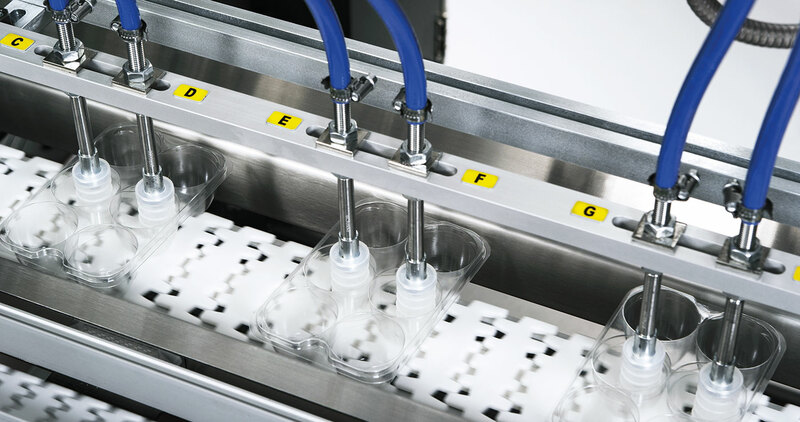 Transparent panels interlocked with safety switches and light curtains in the pallet removal area increase overall safety. Modular design on tray magazines area.